Super Natural Every Day once again tantalizes the taste buds. This grain salad is nutty, lemony, tangy, and a little garlicky. Oh my gosh. I feel like I should go eat another bowlful right away! I decided to go with farro for this salad, because I’ve been curious about it for a while. An ancient grain related to wheat, farro can be cooked on the stovetop just like rice or quinoa or any other grain you know and love. And as a vegetarian, I love that it is high in protein and fiber. Check plus for grains that do triple duty! Farro is also sometimes called emmer, and it’s very similar to spelt. I am definitely going to make this salad again. Between the farro and the huge amount of broccoli, there’s practically not a healthier lunch around. It takes about an hour to make (oh, er…and about 7 dishes that must be handwashed…), but I promise this dish will be a hit. Get the farro started right away. I used ¾ cup dry farro, but I think next time I will use at least 1 cup, and maybe more. Hey, why not? If you are allergic to gluten or wheat, you can use any other grain you like. 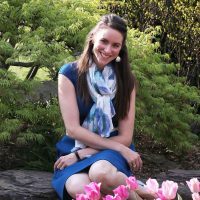 Most of my research suggests that barley is similar in taste and consistency, so that would make a great substitute; however, to save a few bucks, you can also use rice, orzo pasta, or quinoa, whatever is in your pantry. 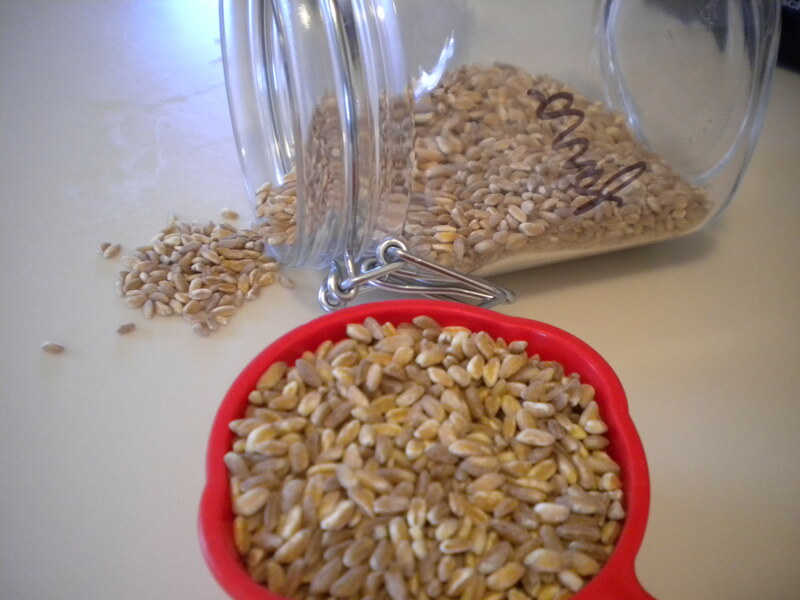 Bring 1½ cup water to a boil (more if you increase the amount of farro; the ratio of water:grain is 2:1). Add in the farro and reduce the heat to low. Stir occasionally to prevent the grains from sticking to the pot; it should take about 30 minutes for the farro to absorb all the water. It should have a slight bite or chewiness to it. If you find that your farro still seems undercooked after all the water has cooked off, it’s okay to add another splash or two and keep going until the grains reach the right consistency. Meanwhile, chop up the heads of broccoli into stems and florets. I got about 6 cups out of mine, but if you have a smaller amount to work with, that’s fine. 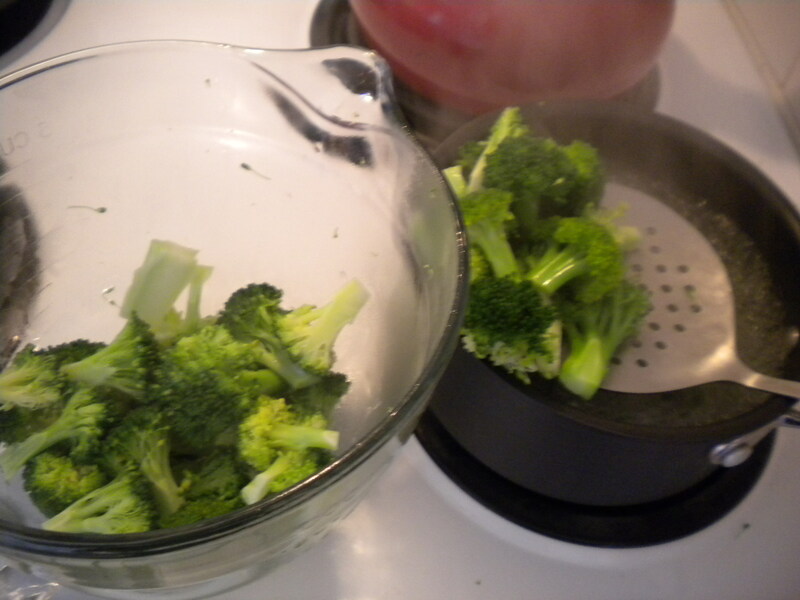 Blanche the broccoli (a.k.a., boil for 1 minute, then remove). Run it under cold water for a few seconds to stop the cooking, then strain. Take about 2 cups of the cooked broccoli to make a pesto (the stems are ideal for this!). 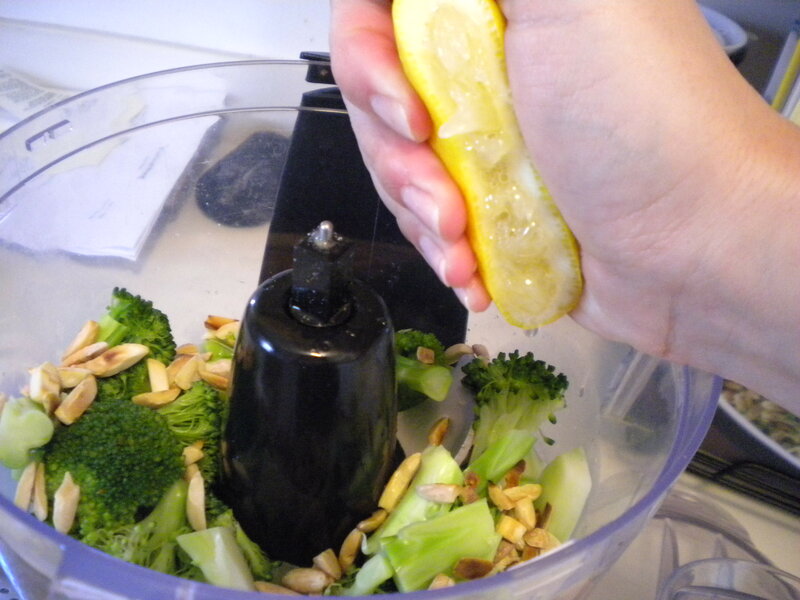 And this broccoli to your food processor with about ½ cup toasted almonds (or pine nuts, if you are willing to spend the money), lemon juice, garlic, salt, crushed red pepper, and parmesan. Blend well. Add in the sour cream and oil and blend again. Set the pesto aside. Slice a ripe avocado into bite-size pieces. 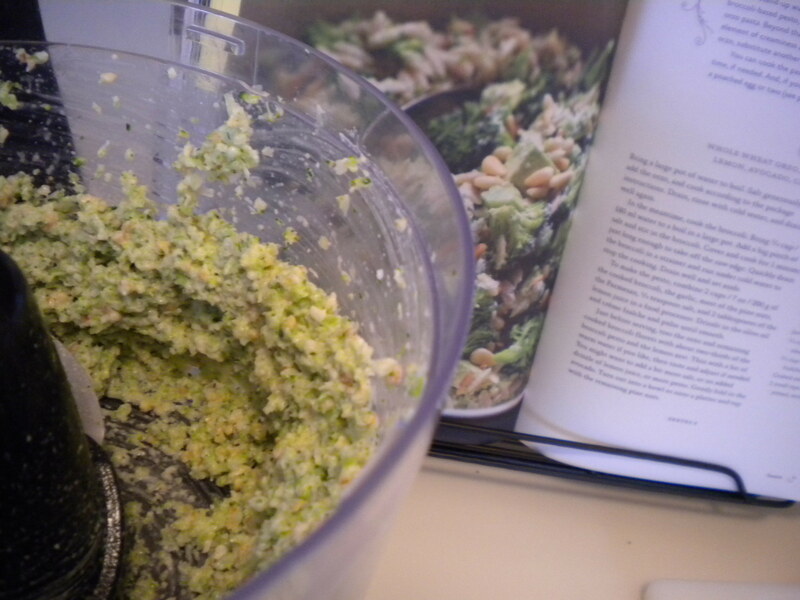 When the farro has cooked completely, add in the rest of the cooked broccoli, the broccoli pesto, and lemon zest. Stir to combine. Carefully fold in the avocado. Garnish with the remaining toasted almonds and a few crumbles of feta. Bring the water to a boil. Cook the farro over low heat for 30 minutes, stirring occasionally, until the water has been absorbed and the grains are chewy. Meanwhile, blanche the broccoli. Rinse with cold water and strain. 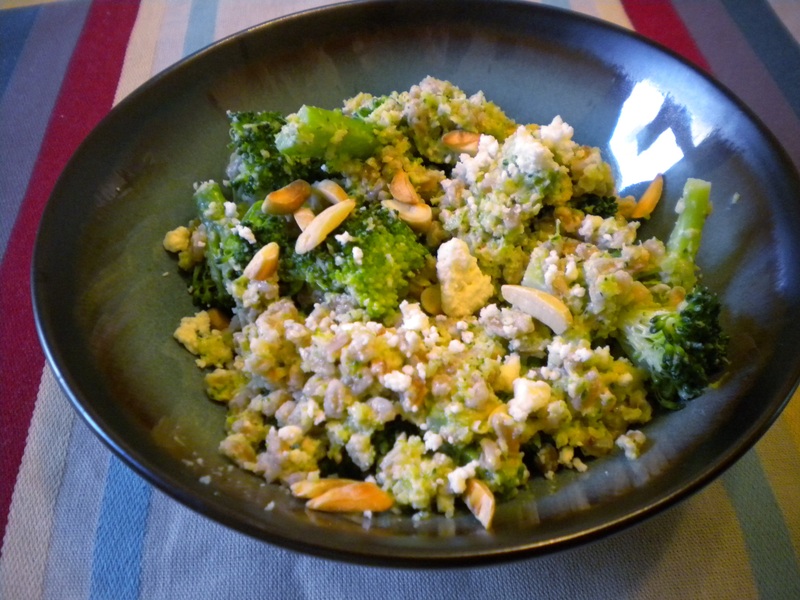 To make the broccoli pesto, puree two cups of the cooked broccoli, ½ cup of the toasted almonds, parmesan, the garlic, lemon juice, salt, and crushed red pepper in a food processor. Drizzle in the olive oil and sour cream. Pulse until smooth. Set the pesto aside. 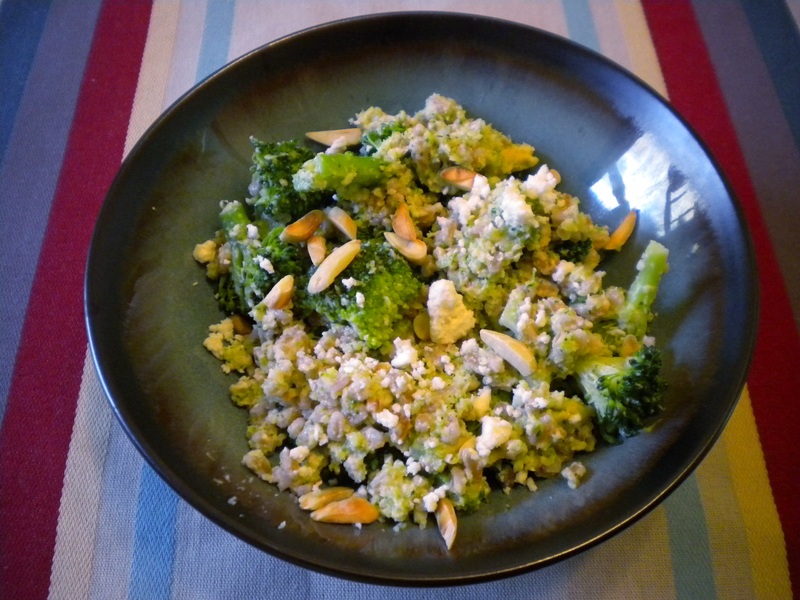 When ready to serve, toss the cooked farro, remaining broccoli florets, lemon zest, and the pesto together. Fold in the avocado slices. Taste and add additional lemon juice or seasoning if necessary. Serve the salad in bowls, garnished with the remaining almonds and a few feta crumbles.